These shirts are a titch controversial. If you are going to wear it I want you to know what you are supporting. 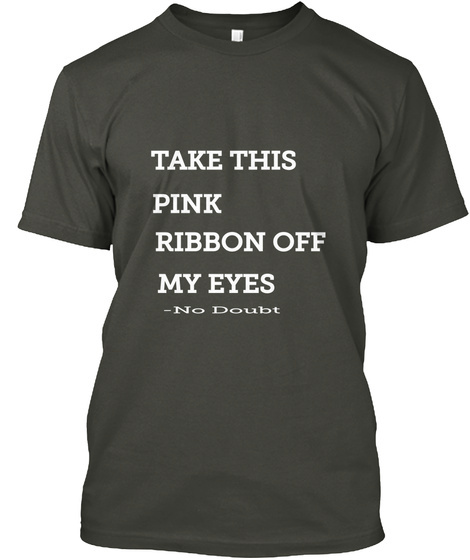 By wearing this shirt you will not only have donated to a good cause, but you will be creating awareness of a different kind. The pink movement has good intentions and is a huge money maker, but the way the funds are distributed are questionable at best. Organizations such as Susan G. Komen Foundation say they are "fighting for a cure" yet use the majority of their funds on salaries, prevention and awareness. Less than 10% is used for research to help extend lives of those that prevention does not help. 100% of donations to METAvivor go to research. 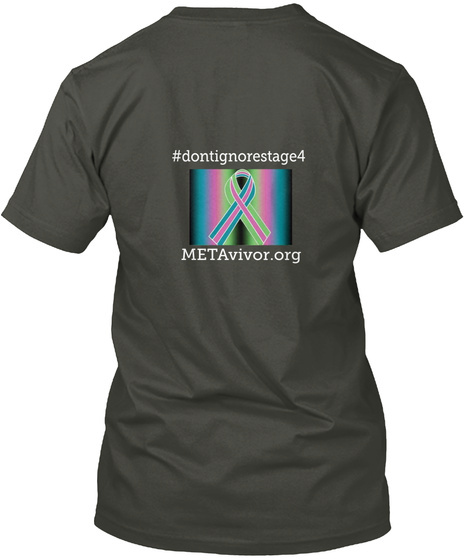 METAvivor has their own ribbon to symbolize our fight and include those who have been alienated by the pink. Cant' wait to see what kind of difference we can make! Also, if you know me well, you know I love 90's music, so this is a win win!